WHAT IS THE BEST CUP FOR ME? What is Menstrual Cupaholic about? 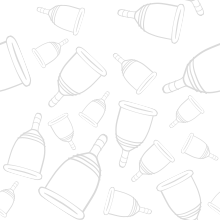 Menstrual Cupaholic is a place for women (and men) to learn more about menstrual cups, and learn how to choose and use what is best for their bodies. Menstrual Cupaholic was originally founded by Emma, a scuba instructor. She noticed that many female students worried about their period during their scuba diving course. Unfortunately, wearing sanitary napkins/pads are not recommended, and some women felt they couldn't participate in this activity because of their period. She also found that women who used tampons were constantly worrying about changing their tampons on a boat or at the beach, and finding it difficult to dispose of these products properly. Luckily, using menstrual cups eliminate all of these problems, and now her aim is to encourage more women (scuba diving or not) to be informed and make the switch! We love our planet, and it’s so good to see people around the world trying to reduce single use products, such as straws, takeaway coffee cups, plastic bags, and more. Our aim now is to encourage more ladies to try a menstrual cup in a bid to reduce the use of single use tampons and pads that are clogging our landfills, and filling our oceans. We want more women to learn to love and understand their bodies, and use safe products that won’t break the bank. Basically, we are Cupaholics who converted to using a menstrual cup, and we want to share the love around! Menstrual Cupaholic is a participant in the Amazon Services LLC Associates Program, an affiliate advertising program designed to provide a means for sites to earn fees by linking to Amazon.com and affiliated sites. Each of your purchases through our Amazon affiliate links supports our efforts to bring you the best possible information and product reviews at no additional cost to you. We swear! The team at Menstrual Cupaholic appreciates your continuing support! Can I Contribute to your Site? Yes, of course! If you’re a Menstrual Cupaholic who blogs and writes, let us know. We take submissions. Contact us here, and be sure to include your submission and/or relevant links and writing samples. Yas! We can promote your business or product on our website, and our social media outlets, such as FaceBook and Instragram. Contact us here, and let’s work together! Menstrual Cupaholic was founded by Emma, a scuba instructor, who realized that everyday she was seeing more and more waste going into the ocean. She decided to try to reduce her single-use waste consumption in her everyday life; from saying no to plastic bags, refusing plastic straws, and also switching to using a menstrual cup instead of tampons and pads. It was a magical step, and now her aim is to give trips and tricks to women who are thinking of making the switch! Join us, and become a Menstrual Cupaholic! Copyright © 2018 by Menstrual Cupaholic.